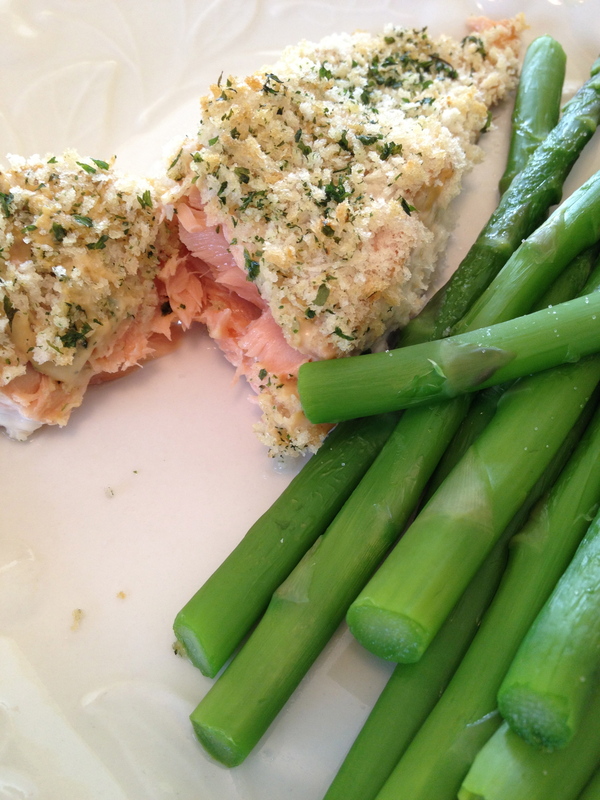 I would love to find a healthy way to prepare salmon that didn’t taste so fishy. We just don’t eat fishy tasting fish. I fix alot of bass,and crappie,but love fried catfish. I’m trying to eat healthier, but can’t find a way to fix salmon. I’ve used Extra Virgin Olive Oil with Salt/pepper on it and baked it. Salmon can some time have that fishy flavor to it. It doesn’t take long to make it. I find, in my experience, that if I cook it too long, then I get that fishy taste. I’m pretty sure I did!! I was wondering if that same coating could be used on other kinds of fish…like tilapia fillets or some other firm white fish. I’m a real novice when it comes to fish, but I want to learn. Thank you. I believe you can try anything at least once! I use the box coating for most other fish, but I’d bet it could be good. I didn’t have the mustard and it still tasted great! Also, if you want another variation with just a hint of sweet, slightly drizzle some organic maple syrup over the top while baking. This gives it a slightly caramelized texture with a sweet and salty flavor. (Again, I did not use the mustard, but go ahead and try it. Never know what creation you may turn up with!) Wonderfully indulgent, yet still healthy! I have tried this on White Fish and it tasted great on that too! Fish is a hard one for my family. I love it and will eat all kinds cooked any way, they don’t! Maybe for lunch one day I can try adding some maple syrup. That sounds great.